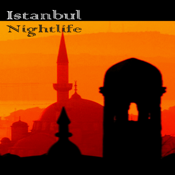 We have been around Istanbul and compiled the best places to check out. You will only find the top clubs, bars and restaurants of the city. Its loaded with a summary, pictures, info, and what people say of each venue. There is also a deal section to help you save on drinks or food. With the around me feature, you will quickly locate your place of choice. Your time is precious, thats why this app will not waste time taking you to the wrong places. We have currently updated more nightclubs and bars.